Lyft Streak bonus is reward for driver for sticking with Lyft and keeps accepting all incoming rides. Certainly with Lyft Streak Bonus you can earn from $5 to $25 when you accept 3 to 5 rides in row. For example if today’s Lyft Streak Bonus is $20 for 4 rides in row from 6 am to 8 am. Hence all you need to do is to accept first trip between 6 to 8 am and complete 4 rides. You will get $20 additional Lyft Streak Bonus on completion of 4th ride. Generally speaking Lyft Streak Bonus is great earning opportunity for Lyft drivers. You can stick to Lyft app and just complete required number of rides in row and get Lyft streak bonus. Lyft offer different types of streak bonus, bonus amount may vary for each region. In Toronto GTA, Canada Lyft Streak Bonus amount could be from minimum $5 to $25. Usually Lyft offer Streak bonus during rush hours to keep the rides demands flow smooth. In fact any bonuses that rideshare companies provide has an angle and goals. For example Lyft Prime Time bonus or high price only start when there is more rides demand and less drivers on road. Hence it will keep balance between supply and demand of rides. Similarly Lyft Streak Bonus which is usually available during rush hours, at the same time prime time also in effect. Hence when driver knows that they will get streak bonus, therefore they will not skip single ride. As you can’t skip or cancel the ride in order to receive streak bonus. In other words Lyft Streak bonus is Lyft practice to stick driver with Lyft app. Moreover not giving choice to drivers to skip or cancel the ride. As a result more driver stick to Lyft app and accepts all types of ride requests. Therefore Lyft can provide reliable service to riders and keep the flow of rides smooth. You will get notification on top of Lyft app when streak bonus is in effect. Moreover you can also view upcoming streak bonus in Streak Bonus Schedule. To check Lyft Streak Bonus schedule, in Lyft driver App to Earing Tab, under Streak bonus tab on view schedule. You can view weekly streak bonus with dates, time slot and bonus amount per streak. Earning Lyft Streak Bonus doesn’t require any special technique. Moreover there are no eligibility criteria to qualify for streak bonus. All you have to do is to drive during streak bonus time and accept first trip within given time frame. Lyft driver app will keep the track of completed trip and required trips for streak bonus. However there are some rules to follow in order to receive streak bonus. You must accept first ride between streak bonus hours. Stay online; you can’t go offline, if so it will break the streak bonus. Accept every ride that comes to you, you can’t skip the ride. Once you complete required rides, you will get streak bonus. As we discussed that main goal of streak bonus is to keep drivers online. Moreover force them to accept all coming rides. Hence if drivers don’t accept rides or go offline then Lyft will not achieve their goal and streak bonus will be useless. Below are some situations when streak bonus will break and you will not get any streak bonus. If you go Offline streak will break. You miss the ride request or you didn’t accept ride request. In some cases if you are moving slow and rider rematches to other Lyft driver. First see the amount of active streak bonus. As we can see the above picture “$25 for 5 rides in row”. While on other hand weekly schedule tells us complete details of bonus. For instance, 26 Jun 2018 Lyft Streak bonus is $15 in Toronto GTA, from 5:00 to 6:00 pm. So all you have to do is to accept your first ride within 5 to 6 pm. After accepting first ride, stay online and complete 3 rides in order to receive $15 streak bonus. Moreover you can complete 3rd ride after 6 pm that’s fine. Just don’t go offline, don’t cancel and don’t miss any ride. Furthermore if you complete 3 rides at 5:30 pm, and accept another ride within time frame. Then another streak bonus will start and you will get additional bonus once you complete 3 rides. How to know about Lyft Streak Bonus? When Streak Bonus is available, you will see notification on top of Lyft driver app. X$ for Y no of rides in a row. Moreover to check Lyft Streak Bonus schedule, in Lyft driver App go to Earning Tab, under Streak bonus tab on view schedule. What is Lyft Streak Bonus Amount? Does Lyft Line (pool) count towards each ride? Yes each Lyft Line pickup count towards streak rides. If you get two different riders on single Lyft Line (pool) ride, it will count 2 rides toward streak bonus. In other words every pickup is counted as a 1 ride. Can I get Multiple Streak Bonus? Yes you can earn multiple streak bonuses. If you complete required rides and pick another ride with in allotted time. Then you will get additional streak bonus once you complete required no of rides. How to check Streak Bonus earnings? Streak bonus amount will be added into last trip of required rides. For example if 3 rides are required to get streak bonus then go to last trips details. There will be Bonuses amount. Do I have to complete required rides within allotted time? No! to get streak bonus you just need to pick first ride within time-frame. Does cancellation from rider break streak? No if rider cancel the ride it not break streak. However it will not count towards the streak bonus. In conclusion I would say that streak bonus is a great and bring inclination for everyone. Driver get happy when he rewarded with little bit extra bonus. Moreover riders get rides on time and Lyft stand out with better services. Besides streak bonus many additional bonus are available for Lyft drivers and riders. Moreover with Lyft promo riders can get Lyft free rides. Driver can maximize Lyft earnings with Prime Time, Lyft Power Zone and Driver Referral. So if you’re not a Lyft driver yet. 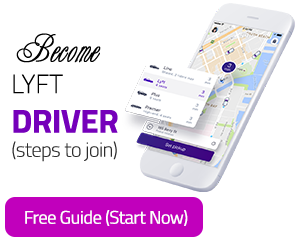 Signup to Become Lyft Driver and earn signup bonus. View all Lyft Promotions in Canada and smart ways to earn more with Lyft.